Jisc are a not-for-profit company who provide digital advice and solutions to the UK education and research sector. They make sure the sectors are up to date within the technological world by providing advice, new ways of working, digital resources and technical services. 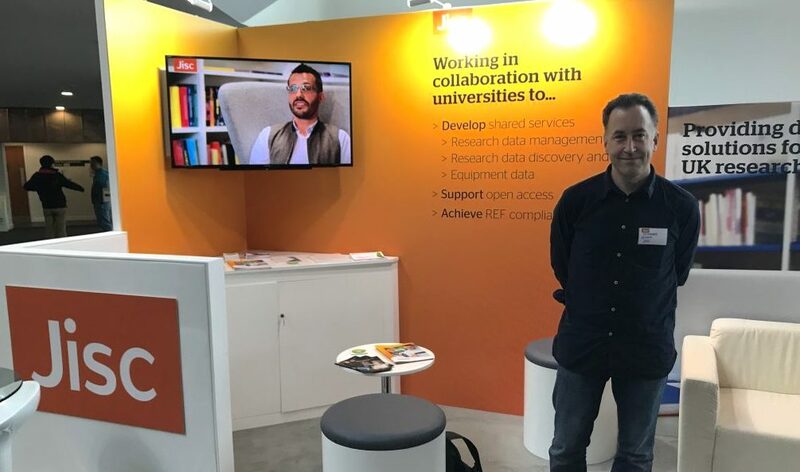 Jisc wanted an external company to help them develop and improve the user experience (UX) of their Research data shared service (RDSS). So what is an RDSS we hear you say? It is a service with the aim to encourage and support data sharing throughout higher education institutions. It provides a place where researchers can deposit data for publication which is then safely stored and preserved, as well as being easily discoverable by other users, which facilitates further exploration. The goal was to make sure the system is clear, easy to understand and shouldn’t require training. In a survey carried out, 100% of users said that they would need training for the current system, so things needed to change which is where Ocasta stepped in to help! We provided Jisc with a UX Governance Framework covering standards and roles and responsibilities. This gave all stakeholders in the project a sustainable structure to define the best way to achieve a good UX, plus recommendations about how they should collaborate with each other to implement this. We developed a UX strategy through multiple rounds of user experience testing and rounds of user acceptance testing (UAT) with pilot institutions. This enabled a user-centric approach to be maintained throughout the development process which aligned with the UX Governance Framework. It involves an ongoing cycle of testing, recommendations, development and implementation. We led the UX research all the way from user research and stakeholder interviews through to designing and implementing user testing, this gathered both quantitative and qualitative data. The analysis of the data from questionnaires and recorded tests helped us form the basis for our recommendations for improvement, alongside our expert UX knowledge, which fed into the iterative process. To support this Ocasta also hosted webinars to pilot institutions for guidance and q&a. We created wireframes and basic UX designs for the RDSS to show our findings and recommendations. We presented these to Jisc to demonstrate how to achieve a better user experience. We developed new designs based on the concept of a wizard design pattern to simplify the process of depositing data into the system. This concept guides the user and breaks down a large task into a series of smaller and more manageable steps. Results from UAT showed that this approach provided a much better user experience and the number of testers who said they would require training to use the service significantly reduced. We gathered all of the data and produced a series of UAT reports based on our findings. This enabled Jisc to discover the main areas where they needed to improve the UX to ensure the RDSS fulfilled its goal of being clear, easy to understand and without requiring training. This is an ongoing project which will be running over the next few years. If you’re looking to improve your UX, or are seeking help for user testing, get in touch.